If you’re dying to start dabbing but don’t live near a dispensary then a trip to Wal Mart may hold all the necessary equipment needed to start making your own dabs. This is probably best for people who just dab occasionally and want to save a few dollars, or don’t have access to concentrates and other designer marijuana products available in states with legal marijuana. 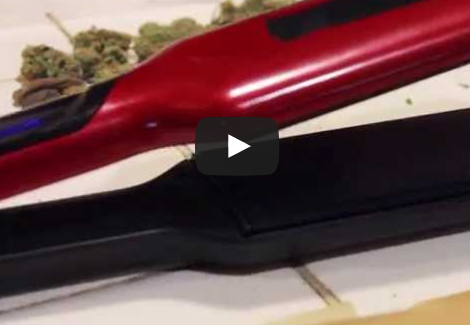 All you need is a hair straightener, and some parchment paper ( DO NOT USE WAX PAPER!) . Simple put your bud into the parchment paper and then squeeze it with the hari straightener for a few minutes. Then just collect all the bits of dabby goodness with a glass dabber. Also, don’t throw away the bud, it’s still fine to smoke it! Next How close can I keep CFLs to my plants?